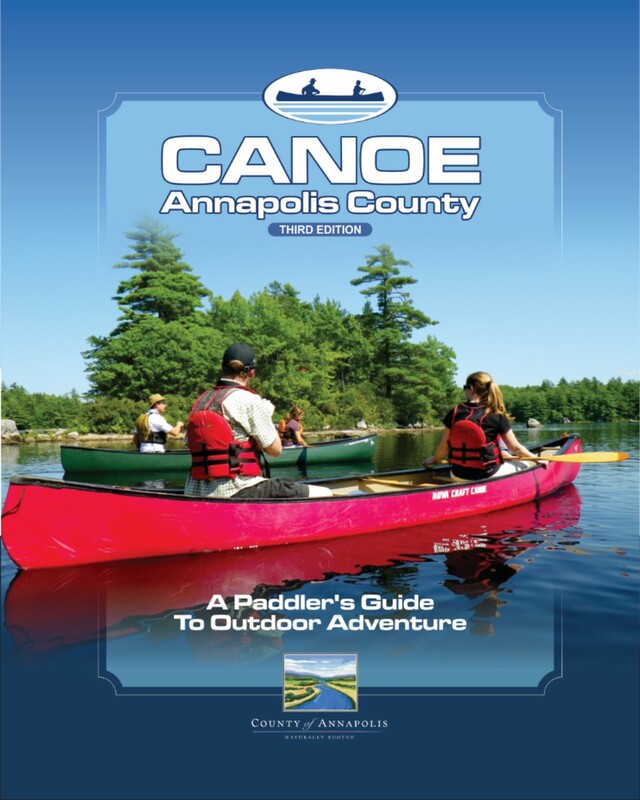 We are very excited to introduce the 3rd Edition of Canoe Annapolis County. This is a must-have for all canoe/kayaking, boating and fishing enthusiasts! Get your copy today! They are available at all of our Municipal Offices - Annapolis Royal (752 George St.), Bridgetown (271 Granville St.) and Lawrencetown (396 Main St.). Other locations inlcude Bainton Tannery Outlet, Annapolis Royal; The Inside Story, Greenwood; and MEC, Halifax. The cost is $20 (taxes included). If you have any questions, please feel free to contact Debra Ryan, Recreation Manager.